Images of Iranian Human Rights Lawer/Activist and Noble Laureate, Ms. Shirin Ebadi, selected by this site. OSLO, Oct. 10 — Shirin Ebadi became the first Muslim woman to win a Nobel Peace Prize today, in recognition of her work promoting the rights of women and children in Iran over the past three decades. In awarding the prize to Ms. Ebadi, the Nobel committee said it wished to prod the Muslim world into recognizing that Islam and human rights, particularly those of women and children, can go hand in hand. The committee also said it hoped to advance a moderate, nonviolent path toward reform in Islamic countries, one in which religious and cultural differences are rewarded rather than punished during this time of turbulence and upheaval. "Her principal arena is the struggle for basic human rights, and no society deserves to be labeled civilized unless the rights of women and children are respected," the Nobel committee's chairman, Ole Danbolt Mjoes, said in a statement after announcing the winner. In its citation, the committee noted that Ms. Ebadi "sees no conflict between Islam and fundamental human rights," adding, "It is important to her that the dialogue between the different cultures and religions of the world should take as its point of departure their shared values." Iran has been criticized internationally for its harsh, discriminatory treatment of women, and the award could lead to renewed interest in Iran and its internal struggles over change. 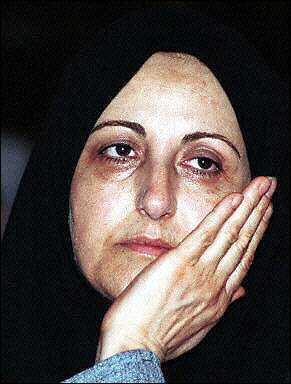 The selection of Ms. Ebadi was also viewed in some circles as an attempt to influence the debate over how best to deal with Iran and the issue of whether it is developing nuclear weapons. The United States has taken an aggressive stance on the matter and has pushed Iran — which President Bush has called part of an international "axis of evil" — to make clear whether it is developing such weapons. Europe, on the other hand, would rather rely on diplomacy to resolve the question and prefers to stoke change in Iran from within the country. "Iran is at the top of the international map in terms of weapons of mass destruction and regime change," said Janne H. Matlary, a professor of international politics at the University of Oslo and a former deputy foreign minister of Norway. "There is Western agreement on putting pressure on Iran. But there are differences between Europe and America about the effects of regime change. Europe favors working to strengthen democratic groups from inside the country. Change through cooperation is very European." Ms. Ebadi, who was jailed in Iran on charges of slandering government officials, has long served as a pioneer for women's rights. She was the first woman to serve as a judge in Iran, a position she was forced to give up in 1979, after Ayatollah Ruhollah Khomeini took power and banned women from the bench. Since then, Ms. Ebadi has used her position as a lawyer to defend a number of political activists, including writers and intellectuals. She worked "active and successfully," the committee noted, to identify the perpetrators behind a 1999 attack on students at Tehran University. But it is her work on behalf of women and children that garnered the most attention. Ms. Ebadi, 56, is the founder and leader of the Association for Support of Children's Rights in Iran and has written several books and articles promoting human rights, among then the "History and Documentation of Human Rights in Iran." Working at a grass-roots level, she has managed to establish crisis telephone lines for children and raised awareness about issues like children in prison and forced child marriages. The fact that she is a woman in a Muslim country teetering between reform and fundamentalism "carries special resonance," Mr. Mjoes, the Nobel chairman, said in an interview after the announcement. "Ebadi represents reformed Islam, and argues for a new interpretation of Islamic law which is in harmony with vital human rights such as democracy, equality before the law, religious freedom and freedom of speech," he said. Ms. Ebadi's selection by the Nobel committee was unforeseen. Her name had not been raised by Nobel observers on their annual list of nominees who were most likely to succeed. In fact, Nobel officials were unable to locate Ms. Ebadi in Tehran and wound up passing the information on to her husband. Ms. Ebadi, who was in Paris, will receive $1.32 million in prize money. In choosing Ms. Ebadi this year, the committee passed over Pope John Paul II, who was viewed as a favorite because of his opposition to the war in Iraq and his fragile health. But some observers say the pope remains too controversial for the Nobel committee, mostly because of his opposition to birth control and abortion. Others said the selection of the pope, or another favorite, the former Czech president, Vaclav Havel, would have placed too much emphasis on the past rather than the future. Ms. Matlary, who also serves on the pontifical council for justice and peace in the Vatican, said this would have been an ideal year for the pope to receive the award. John Paul, whose health has badly deteriorated, forcefully opposed the war on Iraq and has worked through the years to reconcile different religious groups. He was also instrumental in the downfall of Communism. But he remains controversial, particularly in Scandinavia. "One disagrees profoundly in the Nordic countries with his moral theology, his views on family, abortion, homosexuality," she said. "All the controversial issues of the modern lifestyle." 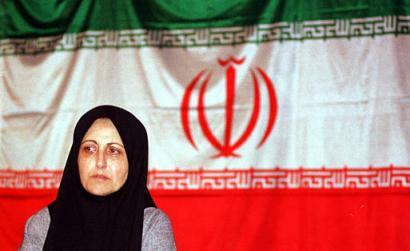 In Iran, Ms. Ebadi's selection was met with lukewarm detachment by the government. State-controlled television and radio did not announce her victory until several hours after her selection was made public, and then did so with little fanfare. Conservatives, who have long viewed Ms. Ebadi's activities as a threat to the Islamic system, reacted angrily to the committee's decision. "Although we may be happy that an Iranian has won the prize, we believe the Nobel Peace Prize is being used to suit political objectives," Amir Mohebian, an editor of the hard-line conservative newspaper Resalat, told The Associated Press. "This prize carries the message that Europe intends to put further pressure on human rights issues in Iran as a political move to achieve its particular objectives," he said. But officials who advocate change and are closely aligned with President Mohammad Khatami celebrated her selection. The selection process for the Nobel Peace Prize winner is famously secretive. This year it was also relatively difficult to handicap. There were a record 165 nominations for the prize and three new members on the five-member selection committee, including the chairman. Three of the five members are women. Ms. Ebadi is the 11th woman and the 3rd Muslim to receive the Nobel Peace Prize.